No Made It By Monday today... I attempted to use my parents camera and my webcam to capture the tutorial but it just wasn't the quality I was looking for, and I didn't want to give you guys a bunch of dull and unsharp pictures. The good news is, I think I have narrowed my camera search down to two cameras. I considered a DSLR for a bit, but with being at school and potentially going abroad to Spain next spring I just didn't want to worry about having an expensive, heavy camera to cart around. I think I'm going to go with the Samsung because I'm not a big fan of touch screens, plus I found a package deal online that comes with the camera, case, memory card, and a bunch of other stuff including a tabletop tripod which will definitely come in handy taking pictures for this blog. I told myself I have to make the decision this week, and just spend the money. I think that's has been what's holding me back. I've almost finished my Summer Flies, too, and I really want to photograph it. 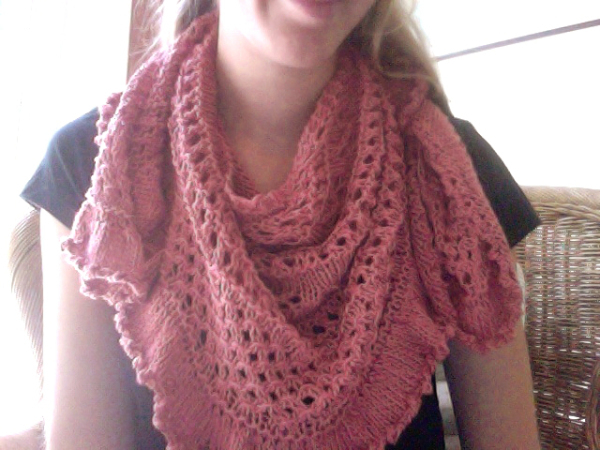 It was a welcome change of pace after finishing my Beatnik, and I just have to weave in a few ends. Sorry everyone, but when I was watching fireworks yesterday on a jetty my camera took an tumble into 3 ft of salt water.... This has kind of messed up my MIBM schedule. I have a few images on my computer that I might be able to put one together today or tomorrow that I had been waiting to put up. My camera is currently sitting in a bowl of rice so we'll see how this goes when I try to turn it on later today. Edit: I'm trying to act pretty nonchalant about this... but I'm sort of dying inside. Please let me know if you see any Best Buy/wherever sales on digital cameras.